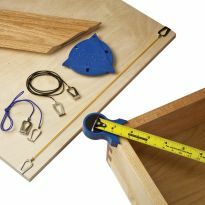 This simple accessory prevents your tape measure from slipping off the corner while measuring diagonals. 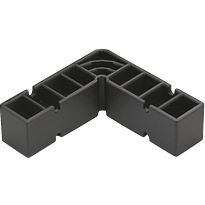 The 90° inside corner securely straddles any outside corner, and rotates 360° to accomodate any rectangular object. 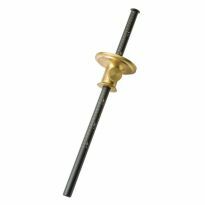 It attaches easily to your tape with a single, powerful rare earth magnet. Use it while assembling drawers for a perfectly square batch. Also great for cases, frames and more. 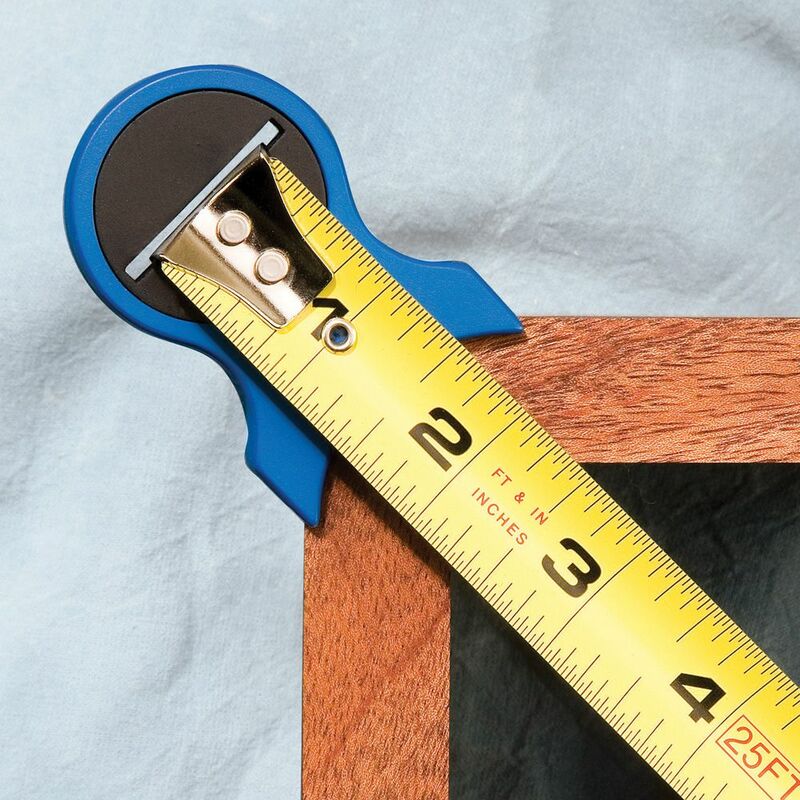 Slot for tape hook measures 1-1/8" wide. Made of durable plastic. Works well when taking diagonal measurements! Makes the measurements easy and accurate. A great little addition to my shop "toys". 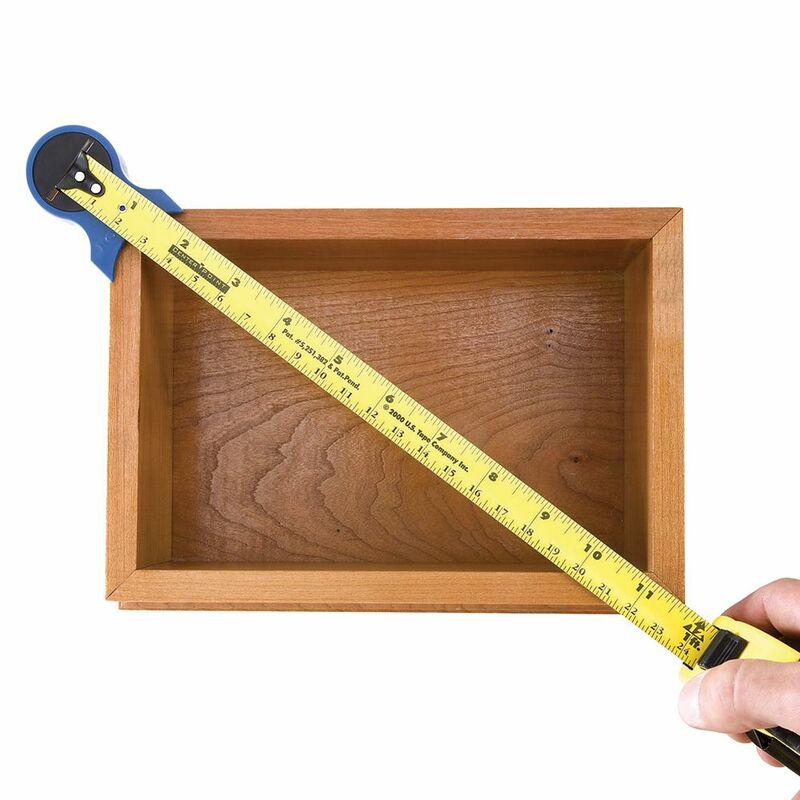 I used this item to check the squareness of the six drawers I recently built, this item made my measurements very easy. Toys, everyone needs more toys. I like it very much as it gives a consistent point to accurately measure from every time. Very handy when working alone. Super strong magnet. Plus it was on sale. Used these for first time just last night. The magnet is very strong so your tape is not coming loose. Love these little special tools that do one thing, and do it well! I made two pair of double gates that each span about 9 feet. The magnet secured the tape measure hook end to the Square Check allowing me to easily measure at the opposite corner. Had no need for a second person (my lovely wife) to be interrupted just to make a quick square check. Of course it works just as well on smaller projects also. This item does exactly what it says it does. Our only problem with it is that it is so small that we are likely to forget where it is when it comes time to need it. Because tape measures are inherently inaccurate, we use them more like a story board; remembering what our comparative measurements are. This devise makes such comparative measurements quite accurate and stable when measuring the distance between opposing corners. This thing is handy! Not for getting exact measurements of an angle because it offsets the tape slightly from the corner, but perfect for checking one dimension against the other! Way to go to check Square. This is by far the easiest way we have found to check square accurately especially over long lengths like we need for large door panels and windows. I only wish they would make one that could be used for the inside square measurements as well. I keep one of these in a drawer, magnetically attached to a 12-foot, Stanley rule. The combo is perfect for checking the squareness of box-like things like drawers and carcasses, and is superior to a helper that is not both personable and always available. This is by far the easiest way to measure a box for square! If I lose or break mine, I'll definitely be buying another one. Awesome and simple device! I use it when measuring all my smaller projects to keep them square. The magnet holds the end of the tape in place. There is no problem with the square check staying on the corners on projects up up to 48&quot;. Very happy with my purchase. Should have purchased a few extra at this price. Easy to use. I wish that this gadget had been available/known to me earlier. Mush easier to use than a square or tape measure alone. 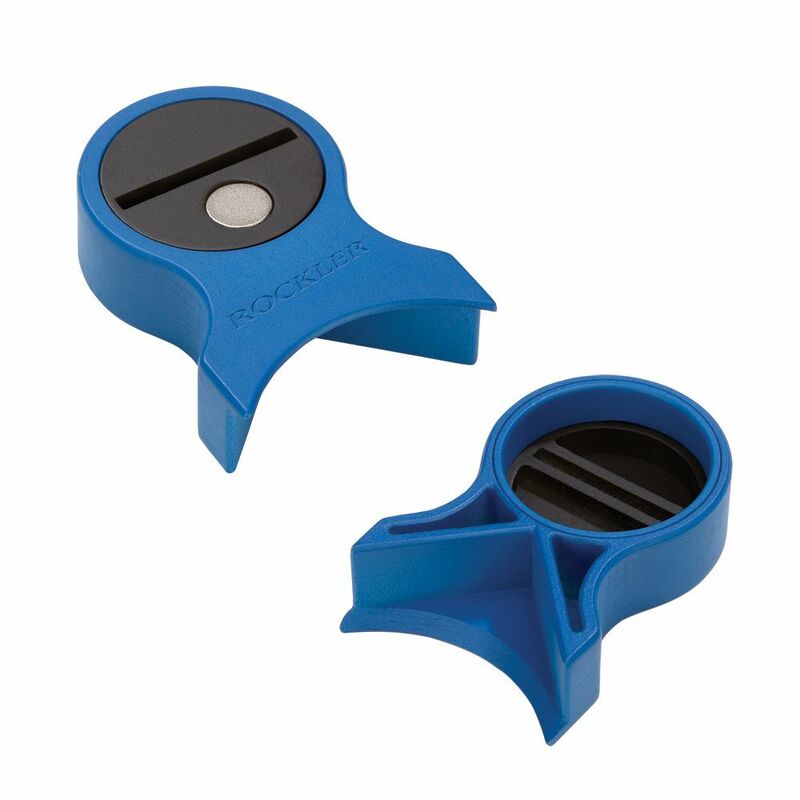 Magnet makes the gadget easier to use and therefore I will use it often. Minimal time to check or set work square. Very simple and again one of the best.I rate this between VG & Excellent with a placement closer to excellent. Keep it up Rockler. A very simple device with a surprisingly strong magnet. This really works well, saves time and improves accuracy. It's like having an extra hand for squaring large casework, and eliminates some of the anxiety that occurs as glue sets up during assembly. Excellent item. I was never could get the ruler to stay still long enough to get a measurement. This fixes that problem. Keeps the tape securely on the corner when measuring for square. Great little tool. Great idea!! Why didn't I think of it. Really helps to square up anything that needs to be square. Fast and simple. Ingenious yet simple device. I love the magnetic attachment. Great tool to eliminate errors when checking for square on all projects where square is necessary. Simple, works so well but the secret is, buy two so that you do not need to keep going back and forth with adjustments. Worked great on making my shop cabinets square the magnet is a real nice feature. The magnet to help hold the tape is a great idea. 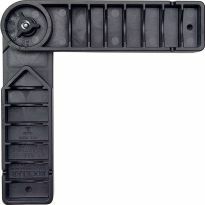 Excellent tool to help square decks, bookcases, and various and assorted other things that need to be straightened out. Wonder if I can use it to keep my boss in line. Neat gadget. Works very well. This handy device has ended the need to struggle with trying to square bookcases for me .I just hook it on one corner and measure across to the other corner. A very nifty idea. I wish I had one a long time ago. Very nifty device. Works just as promoted. Great idea. Just what the doctor ordered for a one-man show! Takes a little time to learn how to properly use this handy little helpers; but once mastered, these gadgets are seriously helpful. 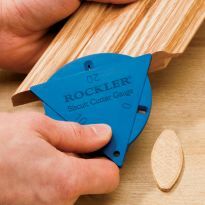 I used this a day after I bought it from Rockler and it turned what had been a frustrating required cross check into an easy activity. It worked, my door was square and I love this great measuring assistant. This is so nice to use when you are by you're self. They are cheap so I have a couple laying around. I run a one man cabinet shop and this product is a time saver. It works well and saves me time. How many times in the past my tape rule slips off the corner and you have to go back and reposition it especially on big cabinets like pantrys. This product is worth it, you won't regret buying it. I bought 2, keep one as a spare. How many times have you had a large project to square up and have the tape slip off just as you make the final measurement. Why didn't I think of this a long time ago. This is a great product it easy to use. It works great on small projects but even better on big projects because you can do it without the help of someone to hold the other end of the tape or trying to do it yourself and the tape constantly falling of the corner while trying to measure. They work much better in pairs. I should have bought two while there was free shipping. Great little tool. Proves there is improvement for everything. 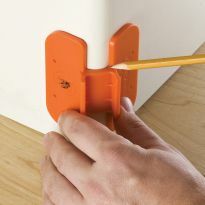 Cool little gadget, this makes squaring large projects a breeze. Very helpful tool. It cuts the time in half spent trying to balance the end of a tape measure on the corner in order to get an accurate reading. This makes it quick and uniform for both diagonal measurements. Neat little tool! Bought 4 and gave 2 to my Pop. 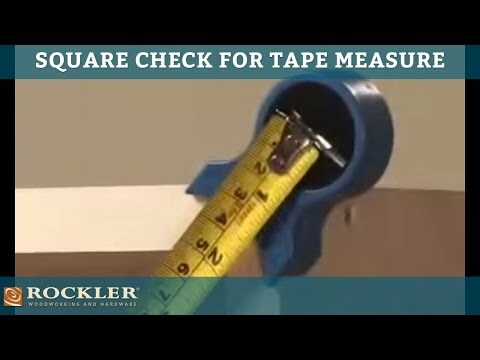 This tool is great, now I don't have to feel foolish having to reattach the end of the tape measure a few times when checking for square. What a neat idea. I always had trouble deciding which side I should measure on. I then had difficulty seeing the tape if the case was long/wide. This is simply great. More accurate method of checking for square. This will make my life easier. I won't have to call my wife to hold the tape measure in place. Great idea! Ease of checking square when alone. For help when squaring alone. It looks like it is an easier way to check the square of a box when doing it myself. Cross measure can also make sure accuracy of squareness when 3/4/5 measurement is used. Always wanted to get one of these, for checking square, when working alone. I wanted to see if it really would make my life easier when it comes to checking if objects are square. iwill be building 9 cabinets and this will help me square them up. Have a bunch of cases I need to build. Looks like it will be a time-saver. 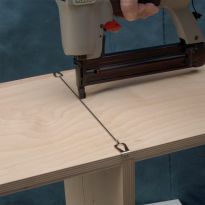 Looks like a great tool when building cabinets and when working alone. Enable ability to validate squareness. I alway fight checking squareness on large projects by myself, figured I would try this out. To easily check projects for square. Should make checking corner to corner easier and more accurate. More accurate measurements working by myself. I need a tool to measure Squareness by myself. It is very difficult to get accurate measurements on larger material. I use it to check the square on the doors, picture frames and drawers that I make. To make checking square more accurate. It is a gift a friend requested. This should eliminate the frustration of the tape slipping of the project when checking squareness. Hoping this will help measure across corners, even if I have to modify it. Looks like it will make my squaring easier. Make diagonal measurements easier and more accurate. Most of my work is by myself. now i have a third hand. why struggle, this is awesome, so easy. It looks as though you need to subtract one inch from your measurement. Because in the picture it looks like the tool extends the tape measure out and extra inch for it to work. Is this true? BEST ANSWER: You would have to add to it, but I only use this to check square so as long as each cross measure is correct I'm happy. 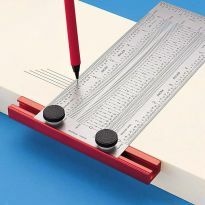 If you were using this tool to make cut based on calculations then I believe you would need to add the extra distance to your reading. It does. However, if you're only using it to get something square, it doesn't matter. You just need the numbers to match. I wouldn't use it to get a cut measurement.